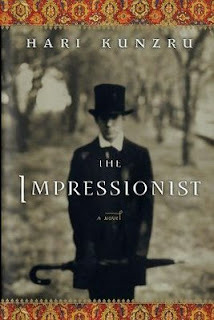 "The Impressionist in a good book with a bad ending." If I had like, really less time and lesser still space to comment about the book, that is probably how I’d have summed it. But Hari Kunzru’s 300-something page novel deserves more reflection. For one, this book - after at least the last three - had me coming back to it, and fast. That implies that the story is racy, the writing ‘light enough’ and the font size big enough!! Kidding...but seriously, I hate reading books where the whole bloody page is in fineprint. But, beyond font sizes, the style of the book is ‘if-you-know-what-I-mean-by-my-style-of-writing’. From Pran to Ruksana to Robert/Chandra to Pretty Bobby to the various versions of Jonathan, the protagonist’s story souns quite real - quite ‘happenable’. But all the while I kept thinking what Kunzru’s reason might have been to have chosen such a string of impersonations. I believe that everything a writer touches carries forth a serious piece of him in the written word. Wonder if Kunzru’s ‘mixed’ upbringing with Indian-English parentage and an identity crisis that often is a problem with children as these, is partly the basis for the plot. Kunzru’s rendition of Indore, Fatehpur and Mumbai in India and of all the said places in the UK are great, but Africa didn’t go down with me at all. It was probably my zilch knowledge about the continent or my non-interest in it. But isn’t an author supposed to convince you of his version, draw you in? Fotseland remained as foreign to me at the end of the novel as it did when the name was first used. But what completely grossed me out was the cannibal ending. The jump from believable to bizzare is so abrupt, it completely cuts off your relationship wid the book. Perhaps it is a little too extreme on my part, but the conclusion left me feeling sick in the stomach, with a bad taste in my mouth. If all Kunzru wanted to do is push the protagonist into a life of oblivion at the end of the world, I’m sure there could have been other ways to do it. So there, what Kunzru had built up through his masterful use of language and storytelling was brutally cut off in the end. I love him and hate him. This one I couldn’t finish in decent time either and I took the usual solace in the usual ‘busy schedule’ bahana. But the thought provoking ideas of Holger Kersten were worthy of every stretched minute. The bold note which the book begins with is nothing like it when it ends. The end result was that I couldn't care less if Kersten’s hypothesis seems to me proven or not. But what the book did for me was an entirely different deal. What was in it for me was this wonderful way in which parallels were drawn between the major religions of the world. Also the painstaking research that has been put in by the author to trace the common etymological origins of similar religious terminology is a treat. For a religion and language buff like me, the delight at each discovery was twice as much. Reading the book opened up the grand vista to the evolution of world religions as it did to the minds of men who wield religion for power; a topic that has always fascinated me. My intellectual interests apart, the book transfused in me a lasting sense of unity on a ‘personal’ front. The challenges of an inter-religion marriage are many and minute. Its difficult to say which grazes what and from where stems trouble. For a Hindu woman with a Catholic husband, the idea of the possibility of a culmination of the two religions is ‘relieving’, albeit a far-fetched idea. 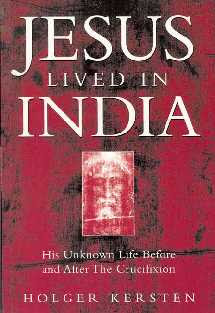 I’ve experienced smug seconds though when I almost believed that Christ was ‘inspired’ (Bollywood music director-style) by Buddhism via Hinduism; felt that undeserving sense of superiority over the other- like the naive ‘My God is greater than yours’ kind of a thing. But the bottom line was this pervading sense of unity, knowing that he and I are fundamentally the same, no matter how different our religious garbs look. Not that I hadn’t known it all along, but to see it reiterated in print seemed to bolster my conviction. All in all, I’m too bothered with my relationship to be bothered with who lived where.